Ski the rest of this season and all of the 2019/20 season! Get your wings pass and fly with us into next season! 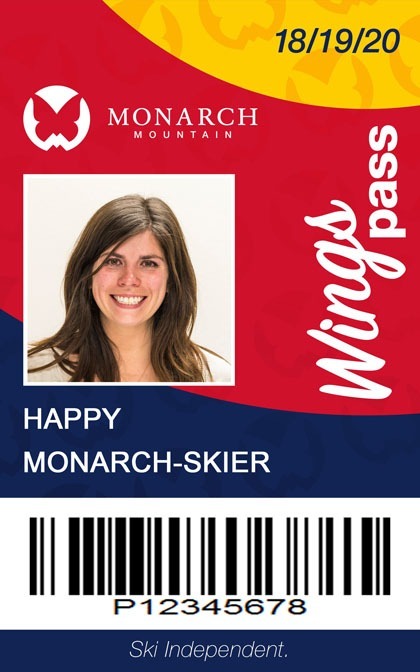 The Wings Pass is good for the rest of the 2018/19 ski season and the entire 2019/20 ski season!! The Monarch Wings pass is currently available for purchase. Season pass insurance is available through a third party vendor, Travel Guard. Insurance is 7% the price of the pass. Unlimited skiing at Monarch Mountain. Everyday for the rest of the 18-19 season. Does not include partner resorts during the 2018-19 season (Monarch only). One buddy ticket purchase per day. Buddy must be present. 10% off at the Sidewinder Saloon, Java Stop or Gunbarrel Cafeteria, every day. Does not apply to alcohol. 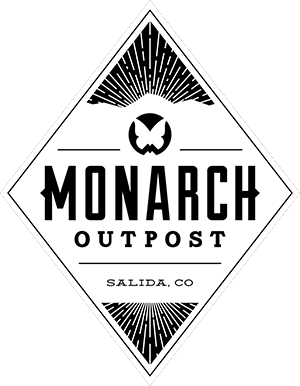 10% off at the Monarch Rental Shop. 10% off in the Outer Edge Gear & Gifts Shop, every day. 20% off beginner (lvl 1, 2 or 3) group lesson. Can be used multiple times. Applies to passholder only. 30% off a purchase of $100 or more in the Outer Edge Gear & Gifts Shop, valid once. 30% off ages 3-6 childcare and childcare with group lessons. Valid Monday - Friday. Blacked out 3/11/19-3/15/19. 30% off Tubing Park walk-in admission. Applies to passholder only. Blacked out 3/11/19-3/15/19. $20 off private lessons. Can be used multiple times. Applies to passholder only. One (1) free day in one of the Adult (ages 16+) 2019-20 Seasonal Programs. Applies to passholder only. Load $$$ to your season pass to use at any Monarch outlet. Activate this feature at the Season Pass Desk. All of the above benefits + free or discounted days at our partner resorts. Confirmed partner resorts include the following. Other resorts will be added as they are confirmed. The cutoff birthdate for individuals to qualify for age specific passes is 11/25/19, meaning that how old the individual is on 11/25/19 determines which pass they qualify for. (If a 12 year old doesn’t turn 13 until July, but wants to purchase a WINGS pass, she will pay the TEEN rate rather than the Junior rate because she will be 13 on 11/25/19. This will be the case for any Monarch pass, purchased at any time for the 2019-20 season.) After 11/25/19, age qualification is based on the age of the individual at the time of purchase. The Wings Pass will be available for purchase 2/22/19 through 4/20/19. Closing day for the 2018-19 season is April 21, 2019.